Bishop, Claire Huchet, and Kurt Wiese. 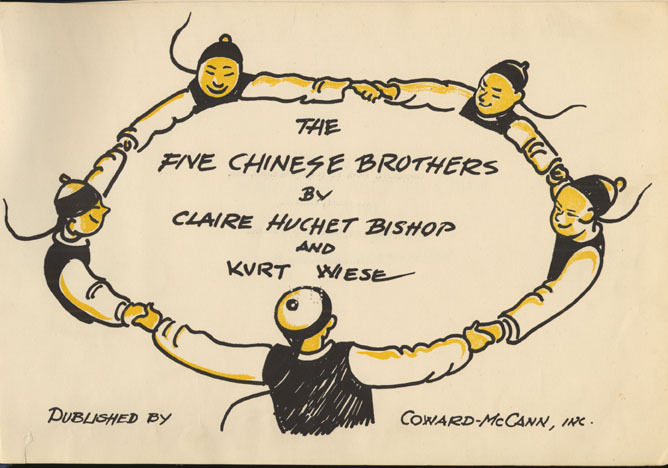 The Five Chinese Brothers. N.p. : Coward-McCann, 1938. 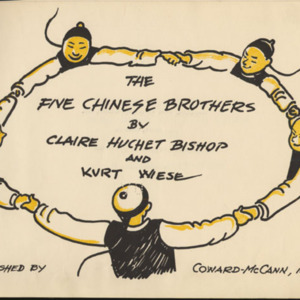 “Five Chinese Brothers,” University of Virginia Library Online Exhibits, accessed April 26, 2019, https://explore.lib.virginia.edu/items/show/640.